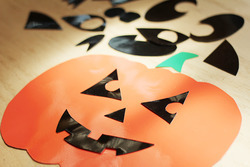 Children are invited to wear costumes and create a variety of Halloween crafts! Special Halloween treats will be served. Registration is required and begins Tuesday, October 2nd at 9:00am.